Induced molting can be an effective management tool, enabling you to match egg production with demand and reduce bird cost per dozen eggs by distributing the bird cost across a greater number of dozens produced. Induced molting can also extend the productive life of a flock to an economically viable age of up to 110 weeks. Producers can adjust the timing of a molt as part of the cost analysis of a total profit plan that maximizes egg production over the life span of the hens and matches periods of highest egg production to periods of highest egg demand, which increases egg prices. The decision to molt a flock should be based on sound management principles and a thorough analysis of your management practices and economic situation. Refer to AG-800, Induced Molting as a Management Tool, for a detailed discussion of molting program economics. In brief, the purpose of an induced molting program is to rest and rejuvenate the reproductive system of the hen. For complete rejuvenation and optimum post-molt performance, the reproductive tract must experience complete regression—that is, egg production must completely stop. Complete regression results in the flock being totally out of production for 14 to 17 days. Weight loss is closely associated with reproductive tract regression, mobilization of glycogen stores, and adipose tissue catabolism. Hen body weight is closely monitored throughout a molt to ensure that a healthy weight is maintained. The procedures described for a successful four- to six- week molt have been used extensively by the commercial layer industry and are mandated by the animal welfare guidelines accepted in the industry. Much of the information in this guide is based on practical experience coupled with continuing research at the Piedmont Research Station, Poultry Unit. Be sure to follow the recommendations closely; however, producers must adapt the overall program to their operation and the previously mentioned components. Developing a program that works within your production management program is important to produce satisfactory results. The age of the flock has a profound influence on the success of an induced molt. Through discussions with industry production managers and other researchers, the average age to molt a flock was determined to now be 69 weeks of age. Attempts to molt younger flocks between 57 and 66 weeks of age will be hampered by the hen’s persistency of production and resistance to ceasing production. Some hens being molted, especially those with larger body characteristics—such as the brown egg strains—may never totally cease production. In many of these instances the hens will likely not experience a complete regression and rejuvenation of the reproductive tract. This, however, does not mean the improved egg quality and productivity will not occur. On the other hand, if the flock is more than 75 weeks old, the potential for restoring egg production and shell quality is greatly diminished, and the overall economic advantage of an induced molt is considerably reduced. The second laying cycle of the flock should end at 105 to 110 weeks of age. The non-anorexic (i.e., hens are not fasted) molt programs used today typically consist of three phases: (1) a pre-molt period, (2) a period of molt diet administration and weight loss, and (3) a return to production after body weight has stabilized. The success of a molt depends on accurate body weight sampling. Do not cut corners in sampling the flock for body weight. The pre-molt weight of the hens is one of the most important pieces of information in the entire program. One week before withdrawing feed, weigh all the birds in selected cages at several locations throughout the house. Select sample cages from all decks, rows, and areas in the house. Mark these cages so that you can weigh the same birds for subsequent body weight samples. Weigh at least 100 hens, but the sample size should be increased if the flock is composed of more than 100,000 hens. The amount of weight loss necessary for complete regression of the reproductive tract depends on the pre-molt weight of the hens. Recommended target weight loss for various pre-molt weight ranges has been reduced by the primary breeders to 20 percent weight loss with no more than 25 percent. Many factors affect the method for achieving these goals. Read the weight-loss section of this guide closely. Some producers “condition” the hens to assist the birds to abruptly stop producing eggs. This conditioning is accomplished by exposing the hens to constant light (24 hours per day) for seven days prior to administering the molt feed. The hens will then experience the maximum decrease in day length at the same time as receiving the Low ME feed when the day length is reduced to 8 to 10 hours. The alternative is simply to reduce the day length from 16 hours to 8 to 10 hours at the same time that the molt feed is provided. Adding supplemental calcium to the feed prior to the molt is not needed with non-anorexic molt programs. However, providing 50 percent of the calcium source through large particle calcium or oyster shell in the molt feed improves the shell quality of the final eggs laid before production ceases. The non-anorexic molt program consists of a low protein, low energy diet that provides supplemental calcium for maintenance. Table 1 shows examples of a molt diet and a resting diet. Table 1. Examples of molt diet and resting diet formulations. When sample weight birds reach target weight, the flock will be placed on the resting diet (Table 1). Non-anorexic programs provide nutritional support throughout the molt, which enhances the welfare status, survivability, and subsequent productivity of hens undergoing the induced molt. Because most laying houses are already equipped with automatic feeding systems, the cost of administering the molting ration is typically small. Feed and management costs may be more than compensated for by sales of the last eggs produced and expected reduction in mortality. Productivity improvements should provide additional monetary returns. The induced molt may be started at almost any age of production from 55 to 75 weeks of age, but laying hens are generally started into the molt at an average age of 69 weeks of age nationally. Current industry practice is to molt over 80 percent of the caged egg-type hens in the United States. Day -7 Weigh a sample of birds to determine the pre-molt weight. Calculate target weight (20 percent body weight loss) using the pre-molt weight. Increase lighting to 24 hours of daylight at this time. Day 0 Provide Low ME feed after any remaining feed has been removed and daylight hours reduced. In controlled light housing, reduce the day length to 8 to 10 hours. Remove morbid birds before feed change. Day +9 Weigh a sample of birds nine days after providing Low ME feed to determine body weights. Day +19 Weigh sample of birds 19 days after providing Low ME feed to determine body weights. Calculate weight loss per day using 9- and 19-day body weights. Estimate target date for when body weight loss will reach 20 percent. The hens will not be weighed. Provide the resting diet when hens reach target weight. Target date Return hens to the layer feed if body weight loss has been achieved. Day +28 Feed birds the layer diet and gradually step up the day length by one hour per week for light stimulation. Hens should cease egg production by Days 6 to 10. The Low ME molt diet is low in energy and will not sustain egg production. However, the hens should be allowed to consume all of the feed provided between feedings. The molting ration is designed to keep hens out of production and to provide for skeletal and muscle maintenance. Livability is excellent with this program. The diet is bulky, such that a full trailer load will only weigh two-thirds of a normal full load. Weight loss must be closely monitored in the molting phase and compared to the target body weight established in the pre-molt phase. Weigh all the hens in the same cages that were sampled during the pre-molt period. Measure body weights on the ninth and nineteenth days after Low ME feed is provided, and calculate the average weight loss per day. From this estimated rate of weight loss you can predict when the birds will achieve the target weight loss. Weigh the hens in the sample cages every other day until two days before they are predicted to reach their target weight loss. At this point, weigh the sample birds every day. A cool environment causes birds to lose weight faster. If weight loss occurs too rapidly, regression of the reproductive tract will not be complete. If a flock achieves the target weight loss before the twelfth day after molt diet is administered, the temperature within the house has been too low. Steps should be taken to keep the house temperature somewhat higher. For flocks that lose weight too rapidly, begin resting feed as soon as the target weight loss has occurred. This procedure will maintain body weight and allow full regression of the reproductive system. Maintain house temperature at 80°F plus or minus 5°F, but the birds should not pant. Please react to higher environmental temperatures or high air velocities (greater than 500 feet per minute). Many factors related to housing and equipment may affect body weight loss. These factors include temperature differences and other ventilation problems, feed equipment problems, or localized problems with parasites or diseases. It is important to be aware of these factors. There may be zones within a house that repeatedly produce birds with heavier or lighter weights. For example, hens in cages at different levels may consistently have considerably different weights. In such cases, hens in each cage level can be sampled for weight separately and a target weight loss established for each level. Those hens reaching the target weight loss first may be placed on the resting diet to hold their weight constant until all hens have achieved the target weight loss. In other situations where it is not possible to feed the hens of differing weights separately, steps should be taken to eliminate the conditions that produce the non-uniformity. If the weight of birds in the flock is highly variable and an attempt is made to molt them as a single unit, the results may be less than satisfactory. The North Carolina Layer Performance and Management Tests have shown that the rate of weight loss during a molt varies considerably between strains. Provided that the minimums discussed earlier in this publication are considered, strains should be allowed to lose weight at their own relative rate. Livability should be more than 97 percent through the molting period. If there is a notable decrease in livability as the flock approaches the target weight loss, procedures should be initiated to correct the situation. 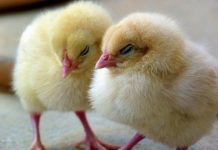 If the flock has experienced some sort of challenge—such as disease, exposure to mycotoxins, or environmental stress—that has significantly affected egg production or livability in the first cycle, livability during the molting period may decrease below 97 percent. The extent of the decrease depends on the nature and severity of the challenge and how long the flock has had to recover from the challenge. Before initiating a molt, examine the production records for the flock. If there was a notable challenge during the last 8 to 10 weeks of the flock’s first cycle, expect lower than normal livability during the molt. If this challenge was severe and very recent, it might be wise not to molt the flock. Appropriately managing the lighting program for the flock is critical during the weight loss phase. 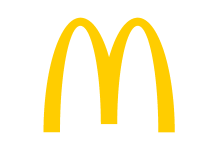 Constant or decreasing day length for 21 days is fundamentally required after the Low ME feed has been provided. The best way to accomplish this requirement depends on the house type and season. The following recommendations for closed housing assume absolute light control. If your house is not completely light tight, use the open housing recommendations. The lighting programs outlined in Table 2 should begin on the day the Low ME feed is provided. The natural day length in many parts of the United States far exceeds the minimum day lengths suggested in Table 2. In midsummer, 30-minute increases in day length on days 21, 24, and 28 will result in extremely long day lengths after the molt. Make certain that the hens experience at least a 15-minute increase in day length on these days. Maximum day length does not need to exceed 16 hours for adequate stimulation. 35 Resume normal lighting program. Day length should be at least equal to that before the molt, totaling at least 16 hours. *Natural day length begins 30 minutes prior to sunrise and ends 30 minutes after sunset. When the target weight loss has been achieved, the flock must be closely managed as diet changes back to a laying feed and production begins. Before the onset of production, hens must be fed diets that promote rejuvenation of the reproductive tract and maximize feather growth. The diet recommended to meet these requirements is shown in Table 1. The exact formulation of this diet depends on availability of feedstuffs and feed prices. The molt resting diet should be fed from the time the flock meets the body weight goal until lighting to stimulate egg production begins. After this point, daily intake of metabolizable energy, sulfur amino acids, lysine, calcium, and available phosphorus should meet breeder recommendations for optimal second-cycle production. The difference in rearing and laying environments between open and closed housing produces fundamental physiological differences in birds. These differences cannot be explained solely by differences in light intensity; high air velocities resulting in “wind chill” contribute to this effect. One result of these differences is that flocks in closed housing return to production more slowly after molting than those in open housing. However, there is no corresponding difference in second-cycle productivity. Excellent performance can be attained with either type of housing. Take care not to compare the performance of flocks housed in dramatically different environments without regard for the effects of those environments. The success of an induced molt is measured by the performance of the flock during the second laying cycle. No exact standards exist for second-cycle production. Field experience and recent North Carolina Layer Performance and Management Tests have produced general goals for molted layer performance. An example of these differences is presented in Table 3. Table 3. Typical pre- and post-molt production characteristics for the various production phases compared to a non-molted flock. Assure proper body weight sampling. Establish proper body weight loss goal. Begin constant lighting seven days before providing the molt feed. Be cognizant of other influences, such as housing and equipment, strain effects, and flock history. Use the proper lighting program. Never return birds to layer feed immediately. Be aware of potential housing effects. Know what to expect during the second cycle. Anderson, K. E., and G. B. Havenstein. 2007. 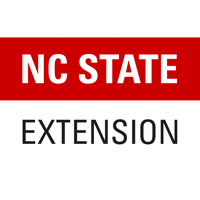 Effects of alternative molting programs and population on layer performance: Results of the Thirty-fifth North Carolina Layer Performance and Management Test. J. Appl. Poult. Res. 16:365-380.